Dr. Richlin, O.D. & Associates Providers Jackson Lau, O.D. Dr. Lau is a therapeutic optometrist with glaucoma certification and is trained in the treatment and management of eye diseases, specialty contact lenses, pediatrics, and the preoperative evaluation and postoperative care of patients. 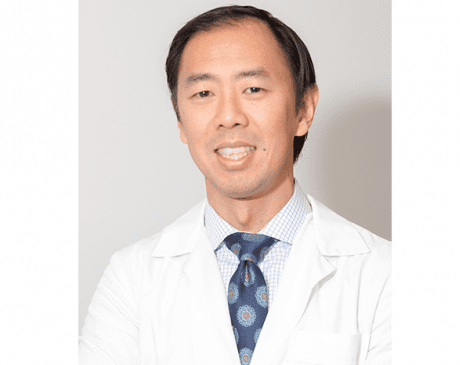 Dr. Lau earned a Bachelor of Science degree in Biology from the University of British Columbia and a Doctorate of Optometry from the State University of New York College of Optometry. He is an Adjunct Clinical Instructor for the New England College of Optometry, Pacific College of Optometry, Western University of Health Sciences and Southern California College of Optometry. He is a diplomate of the American Board of Optometry. Dr. Lau has been a clinical investigator for the Multi Ethnic Pediatric Eye Disease Study at the Doheny Eye Institute, Keck School of Medicine of USC. He is passionate about examining pediatrics since their visual abilities play a large role in their early development. Since 2003, Dr. Lau has donated some of his time away from the practice every year to work with the Volunteer Optometric Services to Humanity (VOSH) Northeast Division to help serve underprivileged areas in Central America. He also provides comprehensive eye care to the children of Kidsave, which is a non-profit organization that helps older orphan and foster kids find permanent families.